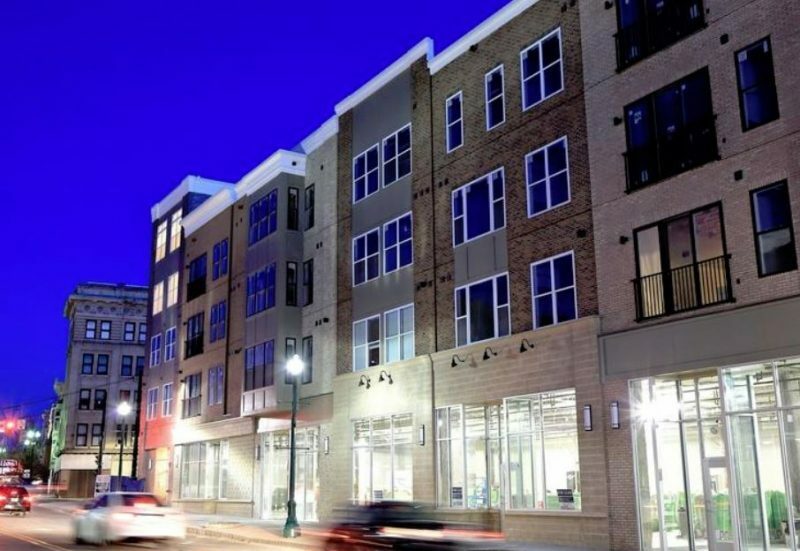 SCHENECTADY — The first tenant moved into the Electric City apartments on Wednesday, three and a half years after work began on a project that’s transforming one corner of one of the most prominent intersections in Schenectady. The final details are being completed in the residential portion of the $20 million building at State Street and Erie Boulevard, which includes 104 upscale apartments and a 117-space basement garage. Apartments on the Erie Boulevard side are in move-in condition in floors 2 through 4, and the ground-floor units will be ready later this month. Apartments on the State Street side will be done in 60 to 90 days. There’s also 10,000 square feet of ground-floor commercial space facing onto State Street, which will take longer to complete, as it must be customized for a tenant or tenants who’ve yet to be signed. The project was a joint venture of Highbridge Development and Prime Companies; Prime is now handling the rental management, and had completed advanced leasing of about 10 percent of the units as of Thursday.